The V6 V MAX SHO® has transformed the game with its 4.2-liter big-bore displacement, signature four-stroke fuel economy and a hole shot that’s up to 13 percent faster than two strokes. Now that anglers have experienced the best of both worlds in one outboard, they won’t settle for anything less than V MAX SHO performance. Now, we’re raising expectations even higher—with a 25-inch shaft option for the V MAX SHO 250. That makes it an even better choice for anglers fishing bigger waters on 25-inch-transom boats such as deep-V hulls, bay boats, flats boats and multi-species craft. Compact & Powerful Powerhead: Plasma-fused sleeveless cylinders are lighter and 60 percent harder than steel. They also allow us to enlarge cylinder bores without increasing their dimensions--which creates 4.2 liters of big-bore displacement, without adding weight. Overall Performance: This superior design--with individual intake and exhaust camshafts, larger valves than previous designs and four valves per cylinder--delivers more precise valve timing and more efficient exchange of intake and exhause gases, for responsive power and increased fuel economy. Smooth and Quiet: A labyrinth exhaust routes gases through a maze before they exit above the water line through an idle exhause relief outlet. This, combined with a mufflerless design, results in unbelievably smooth and quiet operation, with a pleasing sound of power at idle. 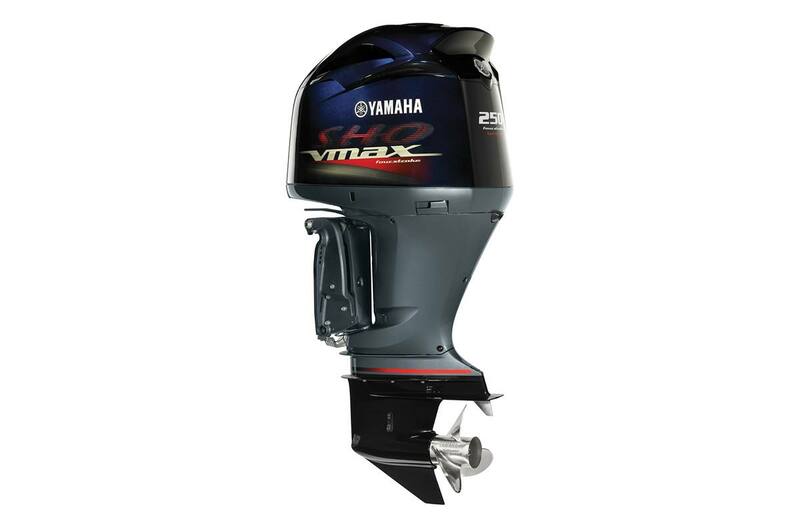 Cleaner Fuel: A large, on-engine water separating fuel filter with a water sensor works in conjuction with Yamaha's 10-Micron Water Separating Fuel Filter to separate water and contaminants from the fuel before they can reach the outboard's other filters and fuel injectors. 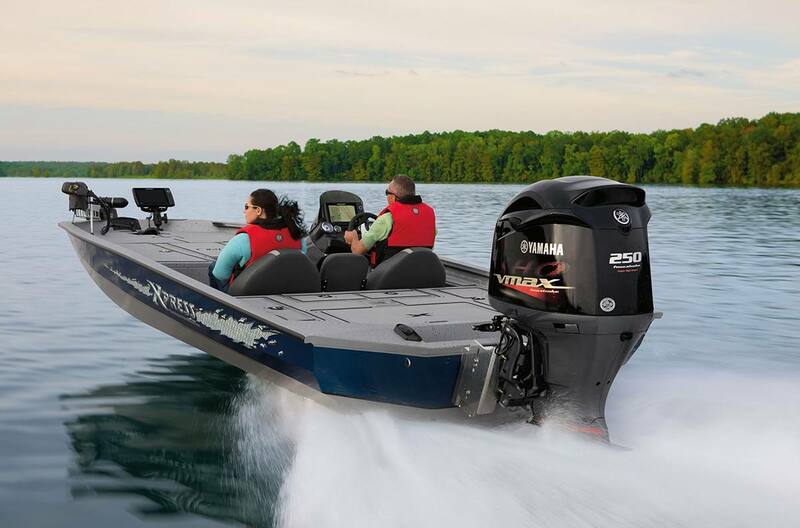 Powerful Charging: With 46 amps of total alternator power at 1000 RPM and a full 50 amps from 2500 ~ 6000 RPM, V MAX SHO® outboards offer the kind of charging power needed to operate today's wide array of on-board electronic devices.